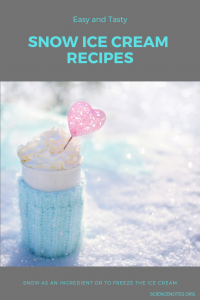 Use fresh snow as an ingredient in snow ice cream or to freeze any recipe. Delicious, creamy snow ice cream is one of the best parts of winter! There are many ways to make snow ice cream. 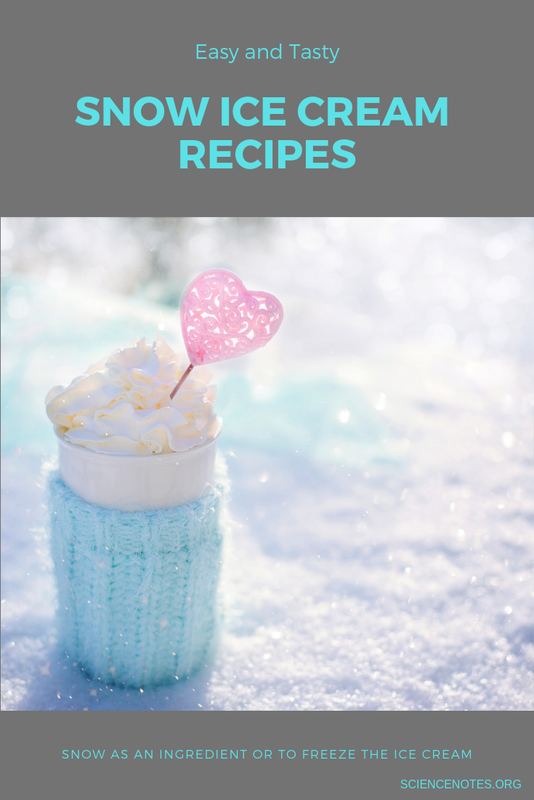 You can use snow as the main ingredient or you can use it to freeze any other ice cream recipe. 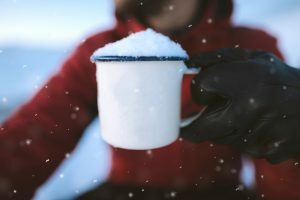 If you live in a climate that gets a lot of snow, it’s safe to eat it or use it as an ingredient. Collect the cleanest snow by setting a large, clean bowl outdoors when it’s snowing. Otherwise, use the freshest snow you can find. Unless you’re using freshly fallen snow, scrape away the uppermost layer and use the pure white snow beneath it. Don’t use discolored snow, as it contains impurities. The quickest, easiest snow ice cream is a simple mixture of snow and sweetened condensed milk. Some snow ice cream purists consider this to be the only recipe! In a large pot or bowl, pour the sweetened condensed milk over the snow. Mix it with a wooden spoon. Leftovers can be stored in the freezer. Ideally, use a frozen bowl you used to collect the snow, since it melts quickly indoors. Another 2-ingredient snow ice cream recipe is to pour pure maple syrup over fresh snow. Technically, this isn’t ice cream, since there is no “cream” but it’s still delicious. Whisk together the milk, sugar, vanilla, and salt. Pour the mixture over the snow and mix it in. Stir the chocolate milk and sugar together before pouring the mixture over the snow. Whisk the liquid ingredients into the cake mix. Pour the mixture over the snow. If your snow isn’t that clean, but you still want snow ice cream, you can use the snow to freeze the treat. Basically, you use any ice cream recipe. Place the ingredients in a metal or glass bowl (because they conduct heat) and set this bowl inside a larger bowl filled with snow and salt. Another option is to put the ice cream mixture into a zipper-top plastic bag and place it in a bowl of snow and salt. The snow and salt mixture gets below freezing thanks to freezing point depression. Pour the half and half, sugar, and vanilla in the bag. Squeeze out the excess air and zip the bag closed. Place the bag in the bowl of snow and salt. One way to squish the bag around without giving yourself frostbite is to push onto the bag with a wooden spoon. You could use kitchen gloves, too.